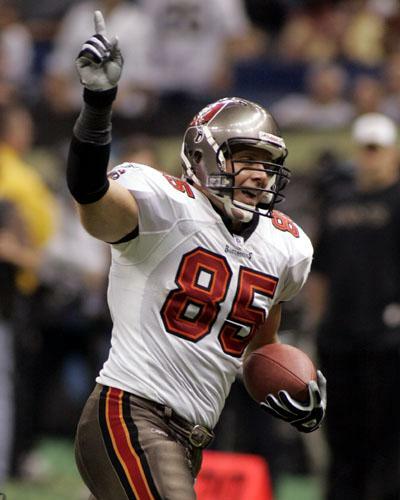 We have gone for the first-ever Buc to wear this number as being our best as well. The expansion Buccaneer offense of 1976 did not score very often, but when it did, it was usually Morris Owens who did the scoring. His record of three TDs in a single game stood for nearly two decades until Jimmie Giles beat it in 1985. Mark Witte was a back-up tight end, special team demon and real fan favourite in the mid 1980s, but then this number fell into disrepair with a whole bunch of no-names wearing it over the course of the next decade. Courtney Hawkins moved into the 85 jersey having worn 5 for the first half of his rookie season, and had some nice moments in the orange colours without ever really setting the world on fire. 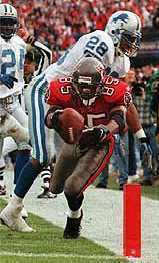 And of course the same could be said for Reidel Anthony in the pewter and red colours too, the latter never living up to his high first-round billing having been drafted out of Florida in 1997. 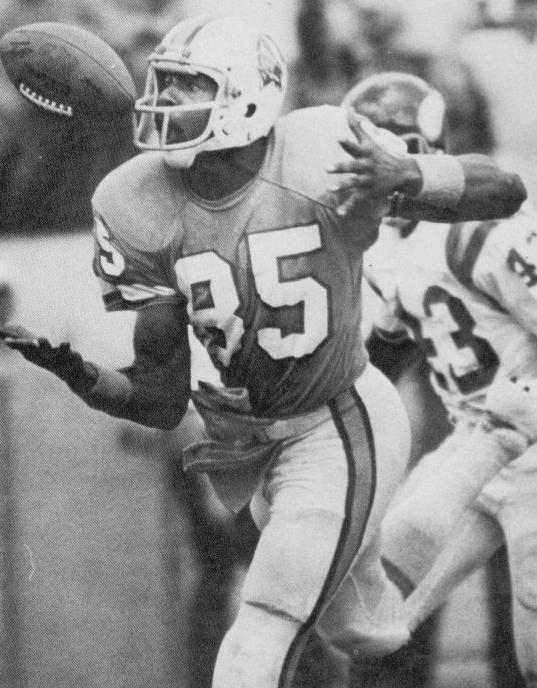 Ken Dilger wore the 85 jersey in the Super Bowl and for five seasons, Maurice Stovall flattered to deceive as an NFL receiver worthy of his third-round draft selection. Since then, it has been a number for nondescripts with Bobo Wilson twice coming off the practice squad to wear the jersey as the most recent owner.